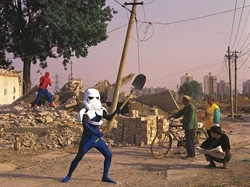 Cosplayers: A Mirage, 2004, digital C-print. Un-Cosplayers: Bunny’s World, 2006, photograph. 2006, digital C-print (from the Siemens Art Project: What are you doing here? ).